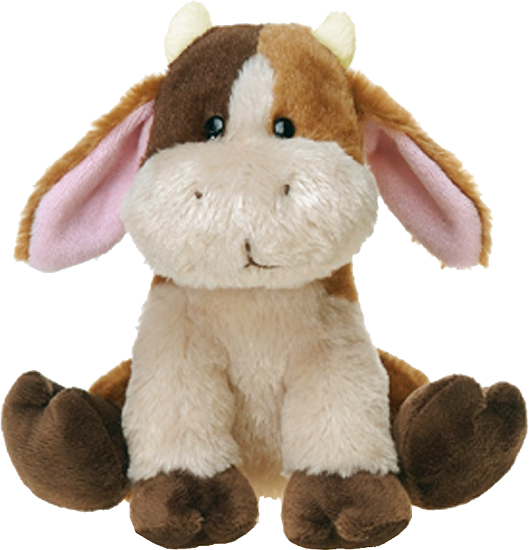 Meet Augustus, this adorable plush billy goat gruff from the mischievous Trolliver Troll Family. This huggable billy goat stuffed animal has a huggable body of soft fur... tan tummy, front legs, tail, and face, rust back, back legs, outer ears, and half-forehead, and brown hooves and half-forehead. With pink inner ears, cute tan horn buds, sweet black eyes, and an ever-smiling face, plush Augustus Gruff Goat is sure to steal your heart. Note: Includes "The Tail of Trolliver Troll" mini booklet with the short tale of Trolliver Family and Norwegian Troll folklore.